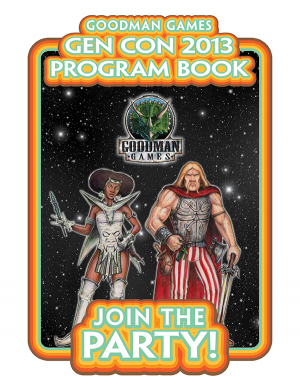 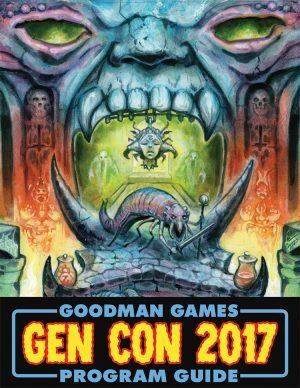 Our annual Gen Con program guide enters its second year with a whopping 96 pages of jaw-dropping adventures! 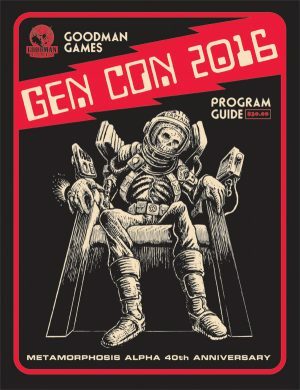 This year’s program guide includes three adventures: The Emerald Enchanter Strikes Back for Dungeon Crawl Classics, Coming of Age for Metamorphosis Alpha, and Transatlantic Terror for Age of Cthulhu. 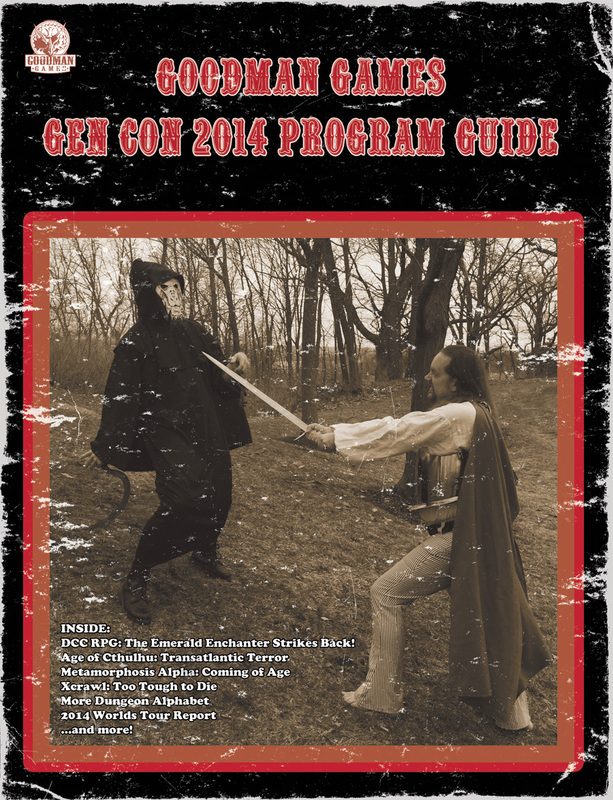 The program guide also includes new Xcrawl fiction, a spotlight on the DCC cover design process, and a new DCC RPG monster. 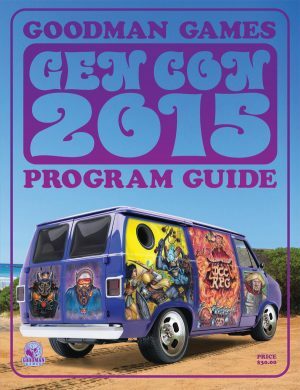 All this is alongside a wealth of previews, staff bios, insider info, and other fun tidbits. Plus the return of Archmage Abby!